In June, C-DOCTOR distributed a Request for Pre-proposals to universities and professional organizations worldwide, seeking to identify Interdisciplinary Translational Project (ITP) teams with promising tissue engineering/regenerative medicine technologies. 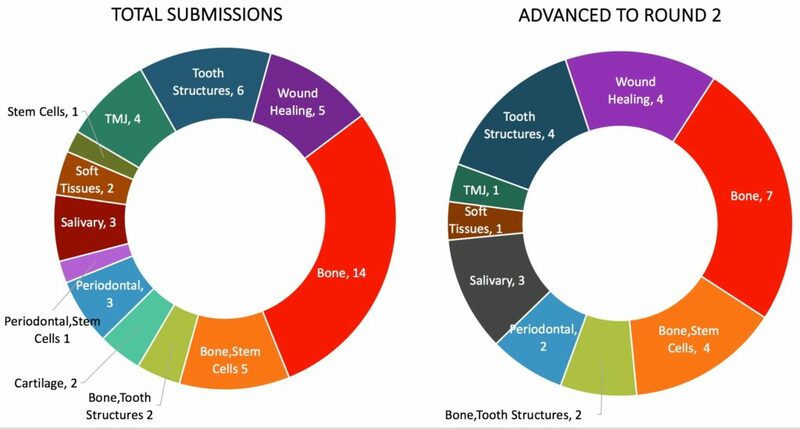 We received 48 submissions from academic researchers and companies, of which 28 were selected to submit full proposals for review by C-DOCTOR clinical, subject area, and industry advisors. These proposals represent strategies to tackle a broad spectrum of identified clinical needs. Finalists will be selected to present in front of the C-DOCTOR Leadership Council, External Advisory Board, and NIDCR program staff on November 1, 2017, at which time awardees will be chosen. A second round of project recruitment and selection will occur early next year.